Hyundai has unveiled the 2019 Hyundai Tucson at the New York International Auto Show. The facelifted Hyundai Tucson features design enhancements and new technologies. The Hyundai Tucson has a sharper front-end now. 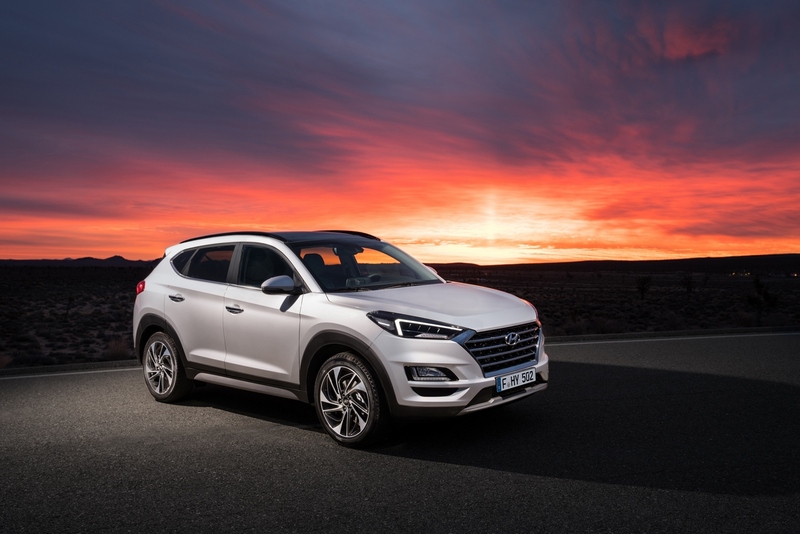 The 2019 Hyundai Tucson has refreshed front and rear fascias. New full-LED headlights with L-shaped signature, Cascading grille, revised lower air intake, sharper bumper and L-shaped LED DRLs are among the changes at the front. The front-end now looks sharper. For a refreshed profile, Hyundai will offer new 18-inch wheels and redesigned 17- and 19-inch wheels. At the rear, the new Hyundai Tucson features a redesigned bumper, reshaped tail lamps and redesigned exhaust finisher. 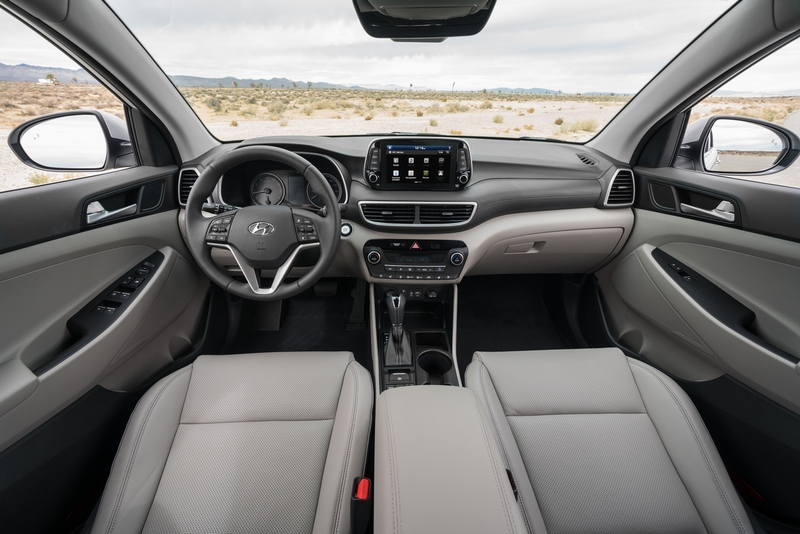 The 2019 Hyundai gets welcome interior design refresh with new centre stack design, horizontal central air vents, new instrument cluster and new leather seat design. Hyundai has gone so far to even offer a new rearview mirror. There's a new 7-inch floating central display for the infotainment system, in line with other the company's other latest models. Added features include second-row USB charger and Qi wireless charging. Getting to the mechanical changes, Hyundai has introduced a new 1.6-litre diesel engine in Europe to replace the 1.7-litre diesel engine. It will offer this engine in 115 PS and 133 PS versions. In the U.S. market, customers will have a new 2.4-litre naturally aspirated petrol engine option in place of the 1.6-litre turbocharged petrol engine. Like most latest Hyundai models, the Hyundai Tucson now gets a 7-inch floating central display. The 2019 Hyundai Tucson will reach the U.S. dealerships in fall this year. European sales commence this summer. Hyundai is unlikely to launch the new model in India before the end of this year.